Alistair’s interest in special effects make-up started in 2005 during a high school excursion all about film gore make-up. Since then, Alistair became a self-taught make-up artist working in the Perth LGBT community working as an entertainer and a make-up artist for multiple charity events, such as the renowned Club West. 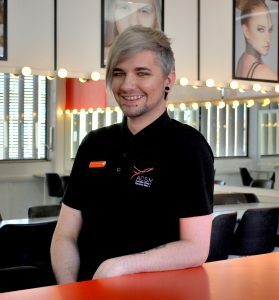 This led Alistair to studying his Diploma of Specialist Make-Up Services in 2012 and received Student of the Year through his hard work and dedication to the make-up industry. Alistair has been working as a professional make-up artist for 5 years now, all over Western Australia. He has worked on multiple short films, stage productions and feature films, including working alongside professional make-up brands such as Kryolan. Alistair was recently a key make-up artist and prosthetics artist for the film, The Decadent and Depraved; a feature film shot in Rural Western Australia in late 2016. After Alistair received his Cert IV in Training and Assessment, he has taught at multiple colleges in Perth and Busselton, developing and delivering make-up courses and workshops. Alistair’s main passion is special effects and prosthetics. His passion has lead him to continue learning in this field, participating in multiple SFX workshops and maintaining high profile relationships with award winning artists.